Hasbro introduces the newest members of the FurReal toy line – FurReal Ricky, Rock-A-Too, and Munchin’ Rex. 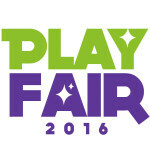 The New York Toy Fair 2018 hasn’t officially gotten underway yet, but Hasbro is already unveiling some of its big hits for the 2018 holiday season. 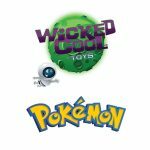 Lucky you – you get an early sneak peek at the top toys to look out for coming this Fall 2018! Meet the newest additions to the FurReal Friends family – Ricky, Rock-A-Too, and Muchin’ Rex! All three of them are cool new animatronics pets slated for a Fall 2018 release. 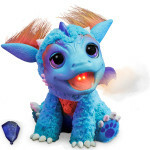 Previously, big releases from Hasbro’s FurReal toy line included, Star Lily, Torch, and Roarin’ Tyler, the Playful Pup. These are fun, interactive pet toys that appeal to both young boys and girls. The main appeal is that they have life-like interactive features that bring them to life in addition to sensors that allow them to react to touch realistically. First, Ricky, the Trick-Lovin Pup is an animatronic pup that comes to life and looks and behaves like a real life pup. Kids can feed their virtual pet treats and he even has a few cool tricks up his sleeves. Ricky will feature more than 100 sounds and motions that bring him to life. Hasbro is claiming Ricky will be the most life-like FurReal to date and he’ll even need an occasional bathroom break just like a real pup. Ricky, the Trick-Lovin Pup will retail for $129.99 this Fall 2018. 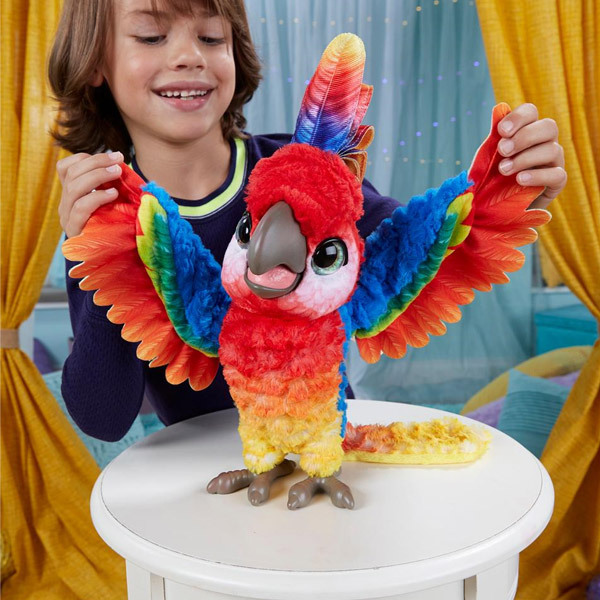 Second, is Rock-A-Too, the Show Bird, a vibrant animatronic parrot. Rock-a-too sings and dances and as you would expect, he repeats phrases just like a real parrot. Children will also be entertained by his many jokes and imitations. Fifty sounds and motions bring Rock-a-too to life, and he moves his head, body, mouth, and wings. 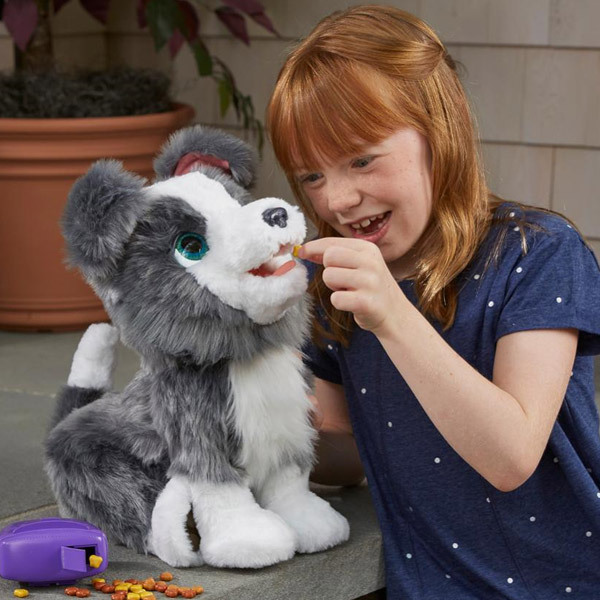 Like other FurReal pets, Rock-a-too responds to sound, light, and touch with different reactions to delight children. He has a fun personality that will likely appeal to kids. Rock-a-too is expected to retail for $79.99 when it debuts on store shelves this Fall 2018. Lastly, meet Muchin’ Rex, a pet baby dinosaur. 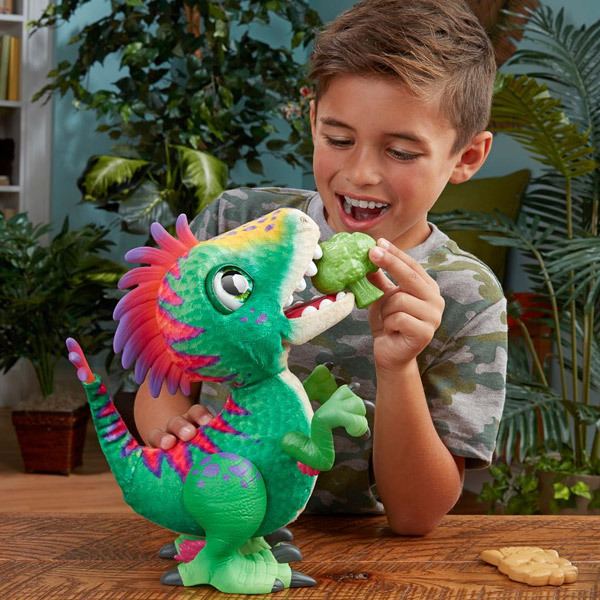 Not too many people can claim that they have a pet dino, but now kids can have their own pet dino! Coming in the Fall for $49.99, Muchin’ Rex is chock full of excitement. He hops around and demands your attention if he needs to eat or is simply excited to see you. He loves nothing more than broccoli and caveman cookies. Feeding him his favorite food – broccoli or caveman cookies – activates various responses like spitting sounds, slurps, and even burps. Rex features 35 sounds and motions that magically bring him to life, and he also is responsive to sound and touch. So that is your first glimpse at the newest members of the FurReal Friends family. 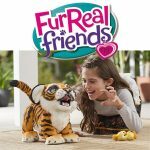 All three FurReal pets will debut this Fall 2018 at various price points ranging from $49.99 to $129.99. There’s a cool virtual pet for just about everyone. 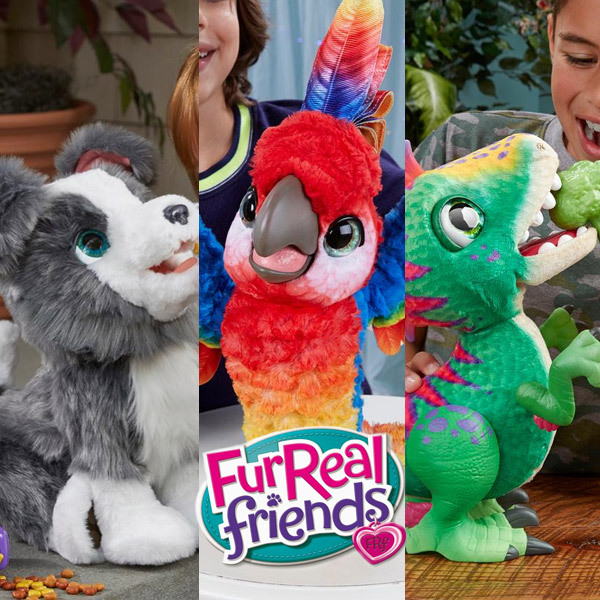 So which new FurReal pet are you most excited for? Let us know in the comments below. We’d love to hear what you think! 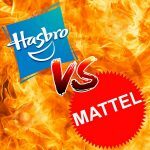 For more breaking toy news like this, follow us on Twitter and Facebook.